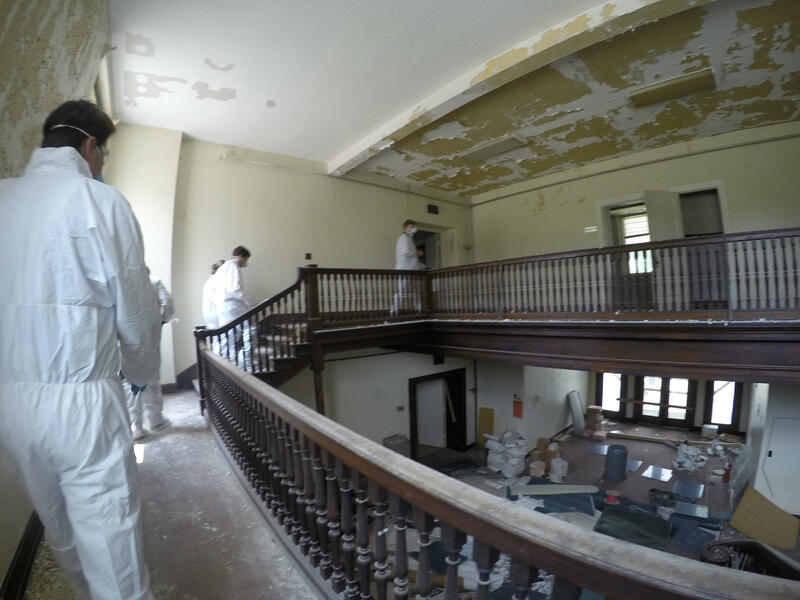 Officials and preservationists put on protective suits before entering the old Masonic Widows and Orphans Home in 2016, when the structure was slated for demolition. They also wore masks because of the asbestos that has never been removed. "What's the story on the old Masonic orphanage and tuberculosis hospital off Hart Lane?" This question came in to Curious Nashville from Wes Robinson, who says his grandmother ended up living at the Masonic orphanage with several siblings after the death of her father, who was a Mason. "I imagine it was a very tough choice for her to make," Robinson says. "Some men show up in a car, and she tells them to go with the man, that they're going to get them some new shoes for school. So she went with them, and that's the last time she saw her mother." The youngest four siblings were quickly adopted, Robinson says. But his grandmother stayed at the orphanage for four years before she was fostered by a couple of teachers. She would call them Mom and Dad until the day she died. Robinson now lives near the old Masonic Widows and Orphans Home, which sits abandoned amid several government buildings in the Inglewood area. He says he drives by it daily, and as an engineer, he also saw a TB hospital listed on the property from old government topographical maps. So he wanted to know the story. The answer is that the two facilities are sort of one and the same. Historic — But Worth Saving? The stone Masonic stucture fell into disrepair and narrowly avoided the wrecking ball in 2016. But the state still hasn't decided whether the building is worth saving. The Tennessee Department of General Services estimates a cost of $10 million to rehab the main building and one other on the site. The main residence on the campus of the Masonic Widows and Orphans Home likely dates to 1913. More than a century later, it's boarded up today and in disrepair. 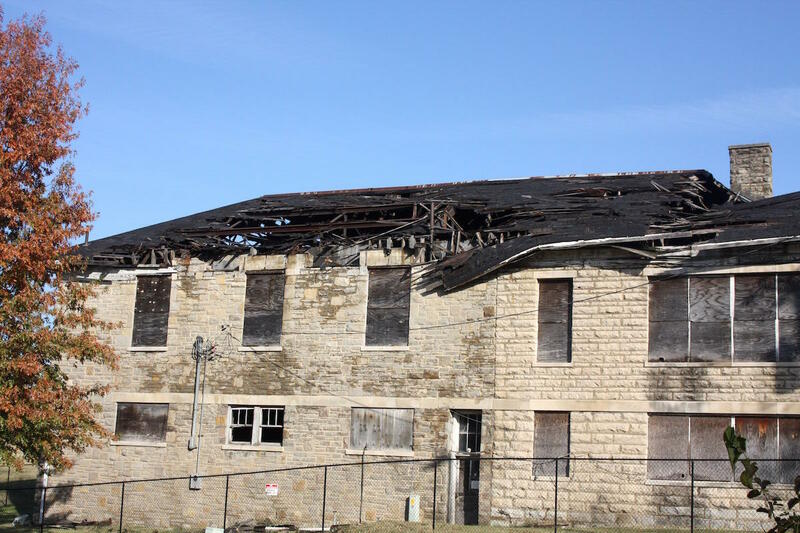 "They are still vacant and are expected to remain that way, as there is no funding allocated to renovate or restore them," General Services spokesman David Roberson says. "We’re aware of the groups that want to save the buildings, but we have not had any discussions with them in more than a year." According to a report in the June 23, 1894, edition of The Tennessean, the Masons held a grand ceremony to dedicate the privately-funded institution. At first, 48 children and 12 widows lived on the campus. Masons started building these types of homes immediately following the Civil War, with the first constructed in Louisville (where a home still operates, though not just for the families of Masons). The school building on the old Masonic campus is in such decay that it's unsafe to enter — even for preservation experts. 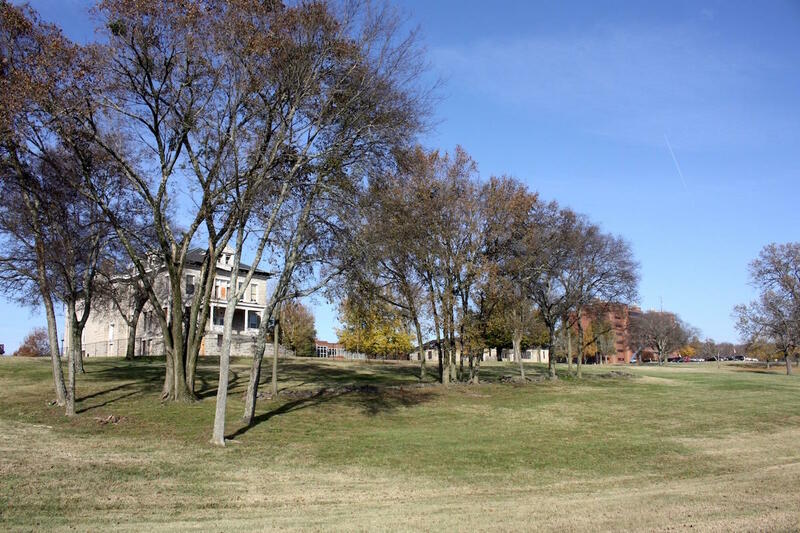 Nashville's home was the focus of philanthropy from the local lodge, which added buildings to the campus over the years. What remains today is the primary residence, with a cornerstone dated 1913, along with a smaller school building that has a collapsed roof. The operation deteriorated over the next few decades. By the 1930s, there were rumors that the Masons were ready to sell the property, inspiring the daughter of one of the home's founders, Marcus Toney, to write an op-ed about not allowing the facility to close down. "With other states in the union having wonderful homes, there must be something wrong with Tennessee," Helen Toney Skeggs wrote in The Tennessean on Oct. 4, 1938. The interior of the Masonic Widows and Orphans Home retains some of its grandeur after being boarded up for decades. But by 1941, newspaper reports said no orphans had been cared for at the home in several years and there were just a dozen widows living in the building. 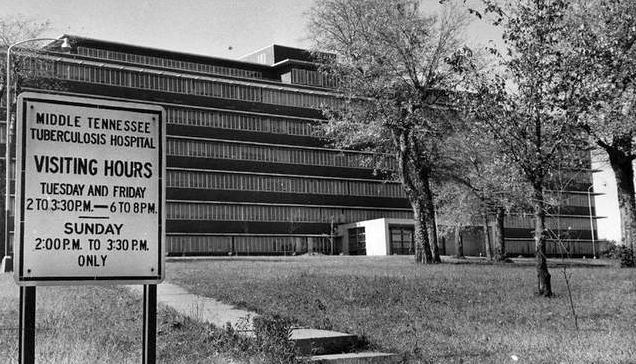 At this time, Tennessee was looking to modernize the state's patchwork of TB hospitals, including a government facility run by Davidson County and a private TB facility at Vanderbilt University. According to research from the Tennessee Department of Health, the agency set up a "Division of TB Control" in 1939. The intent was to create centralized facilities in West, Middle and East Tennessee. Memphis opened its hospital in 1948. Knoxville followed in 1951. In Nashville, the state needed a facility quickly. So according to news accounts, it proposed buying the Masonic Home for $125,000, which included 200 acres and a total of nine buildings. However, when some Masons got wind, they fought the proposal. The Jere Baxter School Men's Club, named after a local railroad magnate and one of the most prominent Masons in town, argued that the hospital and its long-term contagious tenants would lower property values in Inglewood. When the TB hospital moved in, the structure was in rough shape. "We've used these buildings just about as long as we think they are useable," superintendent Dr. R.R. Crowe told The Tennessean in 1950. The facilities are so old "when they are clean, they look like they are dirty." The state built a proper TB hospital on the same property as the Masonic Home and dedicated the building in 1953. It's now home to the state's health labs. But with the U.S. and Tennessee still recovering from World War II, use of the Masonic facility was intended to buy some time until the state could build a larger TB hospital to serve the region. That new building, on the same campus, was dedicated Feb. 28, 1954 — a 7-story, 222-bed hospital with a cost of $4.3 million. As of 1976, its days as a TB hospital were over. Scientific advances in the treatment of the lung disease no longer required sending patients off to wait out their symptoms. The building currently houses the state's Public Health Laboratory. However, the state continues to track cases of TB, with 122 so far this year in Tennessee, according to a state spokesperson. 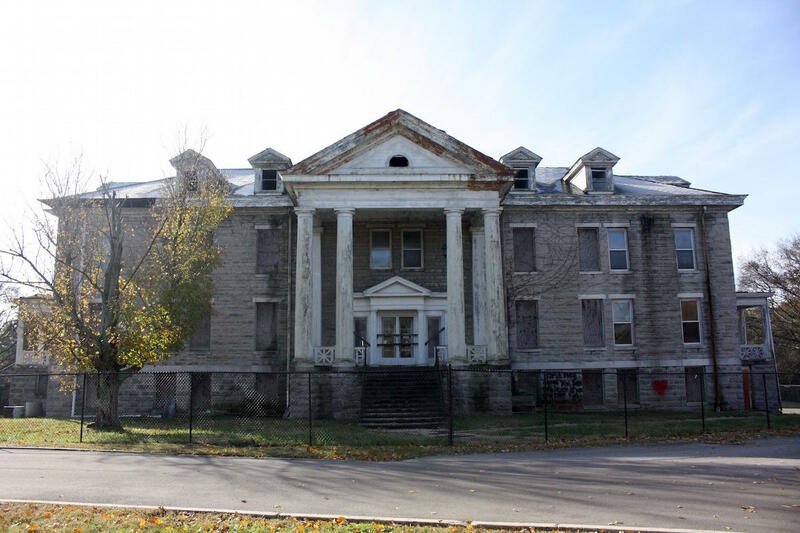 The Masonic Home, meanwhile, has been dormant and neglected for decades. Currently, the windows are boarded up. In 2016, Metro Councilwoman Nancy VanReece got a rare chance to look inside the building in her effort to drum up interest among preservationists. They wore hazmat suits and protective masks because of the asbestos that was never removed. The school was off limits, even to this group, because of the caved-in roof. The Masonic Home in Inglewood stands in the foreground next to the old school building, with state labs in the distance. "I was struck by some of the artifacts, including medical records that were left just laying around," VanReece says. "I get into an old building like that and it's just filled with stories." Now that a new administration is taking over at the state level, VanReece says she plans to make a push to get the building out of its current state of limbo. She's doubtful that Metro Government would prioritize purchasing the structure. She envisions a creative reuse, perhaps as offices for a group like the Nashville Fashion Alliance. "Those stones are serious. They're not going anywhere," she says. "So it's up to us to make sure the insides don't deteriorate to the point that it's too expensive to renovate. We're kind of at the mercy of the state." There was a head-on collision of two trains at a site called Dutchman's Curve in West Nashville 100 years ago Monday, July 9. It remains the deadliest train crash in American history. But the tragedy has largely faded from the city's collective memory. Nestled in the Haynes-Trinity area of Nashville is Free Silver Road. Though it appears to be one simple street, North Nashvillians often tell stories about the old Free Silver, which is said to have been a large neighborhood with a rich history.